We all have favorite cookbooks — those go-to sources ripe with beautiful recipes and loads of good information. These are mine. These are the five cookbooks that I would wholeheartedly give to anyone who asked me for recommendations, the five cookbooks that I turn to weekly to inspire me to culinary greatness. They are my rut-breakers. My guiding lights. I’m sure you’ll love them, too. First is the cookbook that re-introduced me to traditional foods and traditional food preparation techniques. 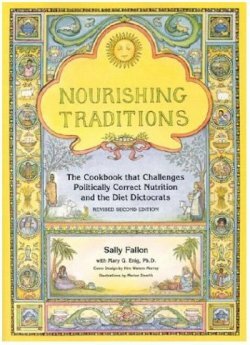 Sally Fallon’s Nourishing Traditions. If you haven’t read it already, the 70-page introduction to this book will change your eating life. It’s positively full of traditional food wisdom and the nutritional research to back up its claims. And the cookbook section is more than just a collection of recipes, too. The sidebar of every page contains quotations from a number of relevant and interesting sources. There are many basic recipes for simple things like butter, sour cream, sauerkraut, and kombucha. And there are also other, more exciting recipes for tasty main course dishes, soups, and sides. I’ve found a few of the recipes to be hit and miss in terms of reliability, but they all have this going for them: they’re all 100% Real Food. The recipes for cultured dairy, lacto-fermented vegetables, pastured meats, wild-caught seafood, sourdough breads, probiotic beverages, salad dressings & condiments, and more are completely free of new-fangled, industrialized foods. There are absolutely no compromises in this book. If a recipe is in this book, you can trust it to be as nutrient-dense and healthy for you as possible. And, if you’re like me, you’ll experiment with the recipes and adjust them according to your tastes. Next up is another book I have absolutely no reservations about — The Garden of Eating by Rachel Albert-Matesz and Don Matesz. This book is perfect for those going grain and dairy free or on the paleolithic/primal diets. Not only are all the recipes happily compliant on the gluten-free/casein-free diet, they’re also all 100% Real Food. There are no strange fake-food substitutes for grains, dairy, or sugar that are detrimental to your health. You won’t need to make any substitutions in these recipes to make them as nutrient-dense as possible. All the oils and fats are real, healthy fats, the meats pastured or wild caught, and the food combinations delicious. Plus, the book includes an introductory section on how to organize your kitchen and meal-making so that you can be as efficient as possible. (I thought I was pretty good before I read this, but I found so many ways to improve my system thanks to this cookbook that I now believe the book is worth its purchase price for this section of wisdom alone!) The author is a little less heavy on the salt and fat than I am, but no matter. I just adjust to taste and have perfect meals every time. I’ve never had a single recipe in this book fail me. Not one! I absolutely adore More With Less for its frugality. It’s put out by a group of Mennonites, and includes a lot of from-scratch cooking basics that will take the mystery out of so many things that confound most modern, convenience-based cooks. 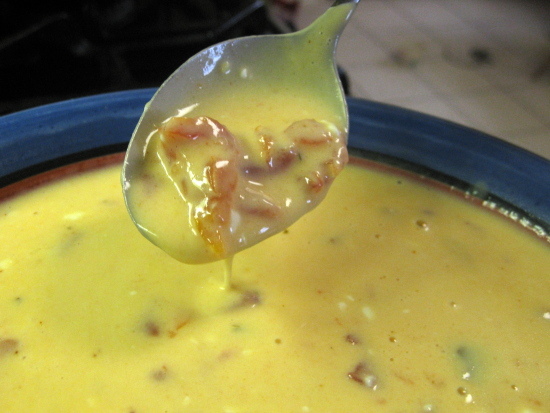 Want to know how to make your own cream of ____ soup so that you don’t have to resort to those nasty canned versions? How about your own chocolate pudding so that you can do without buying those little boxes of industrialized waste? This is cookbook for you! All the recipes are immensely practical. Sadly, though, they’re not all 100% Real Food. 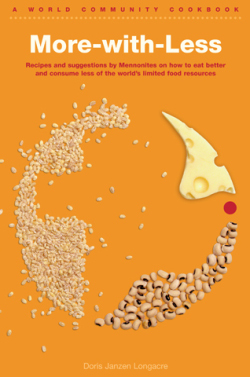 The authors rely heavily on margarine, yellow seed-based vegetable oils, dry milk, and refined flours and sugar. But, thankfully since the recipes are all from-scratch, they’re easy to adapt. Simply substitute butter for the margarine, olive or coconut oils for the veggie oils, sprouted whole grain flours for the refined flours, and the like. The book is full of a lot of advice for stretching your food dollars, most of it quite good. And finally, Sandor Katz’s Wild Fermentation is the go-to book for all things fermented. You’ll feel incredibly self-sufficient after reading this book. Learn how to make your own traditionally-prepared miso, tempeh, sourdough, wine, pickles, sauerkraut, and more. If a food is old, traditional, and fermented, Katz tells you how to make it while spinning yarns and charming you like an old grandmother. Thanks! I need a couple of these! .-= tarena´s last blog .. =-. .-= Alisa – Frugal Foodie´s last blog ..Sweet Roasted Five-Spice Carrots =-. 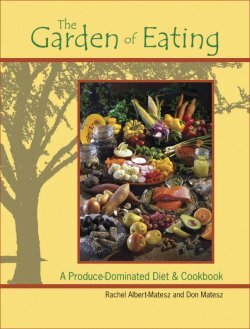 If I were re-writing The Garden of Eating today (as opposed to 2003), I woud include more fat and more salt in the recipes too! I love good sea salt (Celtic or Redmond Real Salt). When Don and I wrote GOE we were following advice from Dr. Loren Cordain to keep salt low, so we cut back what we would have used. Over time I found I didn’t notice any benefit from less salt and more salt certainly improves flavor for my taste buds! Over time I’ve found more fat (good fat of course!) and less frequent use of starchy veggies gives me better appetite control and digestive health. :_) Thanks for commenting on the book! .-= Chef Rachel´s last blog post …My review of Hungry Monkey =-. 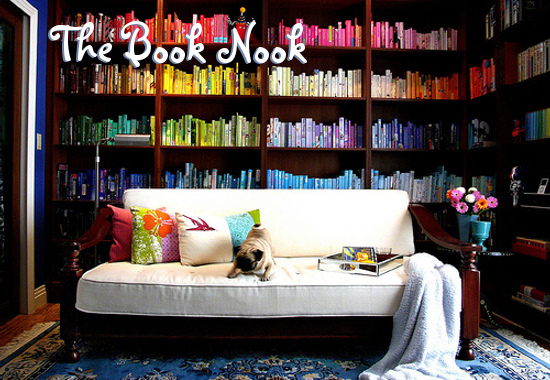 Bookmarking this post so I can add these books to my holiday/birthday wish list! Thanks! These are great recs…I need to get a couple. Dont forget The Art of Simple Cooking by Alice Waters. She teaches how to make all the basics, like roasting a chicken, choco pudding, a simple bechemel sauce, lemon curd (which is so gooooooood), etc. .-= dailydiner´s last blog ..Happy Labor Day and Weekly Menu =-. The Garden of Eating looks great! Anyone know why amazon sells a new copy for 99 and ebay has one for 75, but it’s 35 on their website? strange. I have no idea why Amazon has a crazy price for my Garden of Eating book. I don’t know why they don’t buy it from the wholesaler that we have. I guess I need to set up an Amazon Advantage account. You can order it from my website: http://www.TheGardenOfEatingDiet.com. It’s only $34.95 plus tax! Tara — I think it’s because it’s not really sold by Amazon. Only third party sellers put it up. Great books! I already have Nourishing Traditions and Wild Fermentation, but just got my copy of Garden of Eating this week and have have not had time to peruse it. I met Chef Rachel on Twitter and we’ll be interviewing her this month. She has another great looking book about making frozen desserts from coconut milk! Yummy! Can’t wait to chat with her after tweets and email. More with Less and Dinners in the Freezer look like something to keep my eye on. Right now I’m on a Julia Childs kick. .-= Cathy Payne´s last blog ..ONL051 Are you eating Franken-foods? GMOs are Everywhere =-. .-= Living A Whole Life´s last blog ..Steam Distilled Water =-. It’s nice to see others using “More with Less”. I’ve had my copy since it first came out. It is very dog eared and stained. I considered buying a new copy several times, but I just can’t get myself to do it. Mine is full of notes! It definitely is a cookbook everyone should own and give as a gift. I’ve given several myself to new brides over the years. .-= Pamela @ Seeds of Nutrition´s last blog ..Wild Rice….. =-. I love my “More with Less” also. It contains several recipes I have adapted that have become family favorites. We are using “Nourishing Traditions” in our homeschool nutrition, cooking and health class. 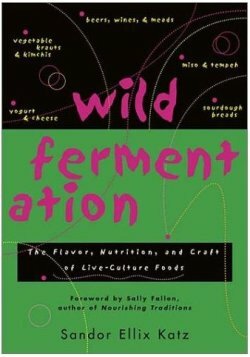 I was very disappointed with “Wild Fermentation.” The recipes were interesting, but I only found three or four I want to try. And this is not a book to leave laying about where children might thumb through it. .-= Local Nourishment´s last blog ..Green Onions Recalled: Salmonella =-. Peggy @ Local Nourishment — The thing I loved most about Wild Fermentation is Katz’s adventurousness. Even if you don’t fall in love with the recipes, you can feel empowered and inspired to just create your own great recipe according to your tastes. I would like to add “Lutece” by Andre Soltner to the list. He cooks in the style of Alsace, in eastern France, and his recipes are full of eggs, cream, wild/game meats, some offal, and underappreciated produce like greengage plums, rhubarb, figs, sour cherries, etc. This was a seminal read in my progression as a cook; it is detail-oriented, yet accessible to the home cook, and really evokes a European sensibility to food. Unlike Jacques Pepin, he never bought into the “30-minute low-fat meal” that characterizes much of American home cooking today. .-= The Local Cook´s last blog post …The Mennonite Trilogy =-. I’m a Mennonite who grew up cooking from More-With-Less, and I still love it — but you’re right! All that margarine makes my skin crawl. Now I read it through a real food lens, using real fats instead of margarine or vegetable oil. Many of these family recipes were originally made with butter and lard. During the seventies and eighties, a lot of health-conscious Mennonites (like most everyone else) believed that margarine was a healthy and frugal alternative to butter, so they went back and changed their old recipes. Some of my favorite recipes in More-With-Less just happen to be my own grandmother’s recipes. She and my grandfather lived in northern Alberta, so it wasn’t uncommon for her to cook “economy” meat like moose, mutton, and elk. Check out her “Wild Game Braise” on page 175 and her “Russian Borsch” on page 207! Thank you for all of your interesting posts! I am learning a lot as I strive to cook better for my family! I love these! I just got Nourishing Traditions and so far it’s great! “So many cookbooks, so little time!” I’ve been a foodie for years. Nothing is a better read than a good cookbook! I discovered Nourishing Traditions about two years ago and am having the best time learning about and making these foods especially the fermented veggies and fruits, lacto fermented tonics and beverages and cultured dairy. Soon I will purchase Wild Fermentations. 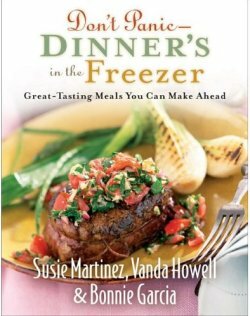 Many of my other cookbooks adapt so well to WAPF principles and here are several of my “go to” books. These, unlike NT, seem not to contain any errors. I’ve found not only many spelling mistakes in NT, but errors in the recipes. Because I am in my sixth decade of Life and have cooked for five of those decades, can spot when something isn’t correct. So, here are some of my other favorite cookbooks and reads. Adapt them to NT and you’ll have some terrific nutrient dense gourmet foods. Read, My Life in France then if you have not then read Julia’s Mastering the Art of French Cooking, get a copy. Her mayo with the addition of whey is sublime! Her chicken liver mousse will get anyone eating liver! The Victory Garden Cookbook. This has been my cookbook bible since I read it back in the early 1980’s. Not one dud recipe out of it yet. I am not a vegetarian, but Debra Madison’s cookbooks are excellent reads and the recipes oh, so good! Bon appetit! Fabulous list of books from everyone. Several I haven’t discovered before but will now check into. thanks. I have one to add to the list. “Nourishing Connections: The Healing Power of Food and Community” from http://www.CeresProject.org. 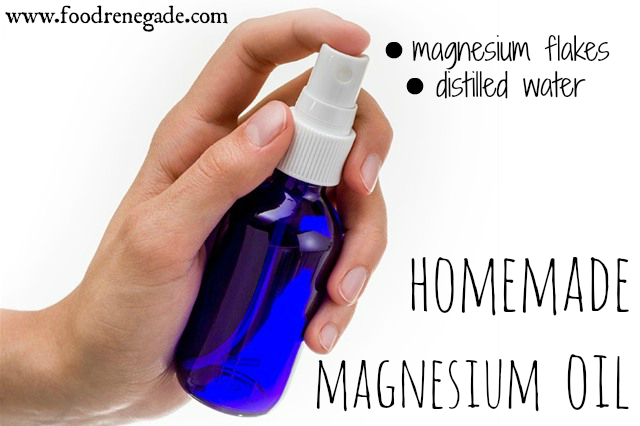 originally written for those who have little to no energy due to major illnesses like cancer, chronic fatigue, etc. Each recipe is loaded with nourishing ingredients and broken down into small steps so they can be made over several days if necessary. Seafood, poultry, vegetarian dishes and lots of info re healing ingredients like mushrooms, seaweed, goji berries, miso, etc. Origins of the cookbook are from a community project to feed community members with life-threatening illnesses. Great story, great idea for all communities to follow and great food! A really interesting idea will be grtting out some really old cookbooks and offering peoples to actually cook something from them. Not all of them contain something very attractive but something new as well. Wild Fermentation is one of the best books I’ve ever read. Even if you don’t use many–or most–of the recipes he has, he certainly gives you a wider knowledge of the process. And certainly helps you adapt wine recipes calling for all sorts of chemicals to a more natural, if less shelf-stable, product. I have some of these books and thoroughly enjoy them. The book More with Less was recommended to me many years ago by some missionaries. I LOVE the book, but as Kristen mentioned, many of the recipes use antiquated data on “healthy” foods. If you sub healthy flours and fats, it is really a great book. One thing that helped me was the idea that I could take a simple meal to a family in need. I used to shy away from taking meals to families who needed one because it took me all day to put together a fancy meal, complete with salad and dessert…and then my family needed a meal as well. Now, I’m not embarrassed to take a one pot meal of oven baked chicken pieces with green beans and potatoes. Rather than baking time consuming desserts, I now instead include a bag of clementines or a baggie of washed strawberries. Done. This cookbook list is I guess the ultimate in recipe books. Most cookbooks these days are promotional tools for commercial food brands. What we need is honest to goodness recipe book that will take our culinary skills to the next level. And these books are definitely a must-own.